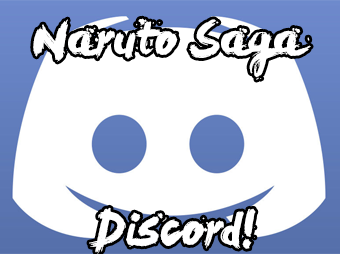 Naruto RP Saga » Hi no Kuni » Konohagakure » The Will of Fire. 「The Village Hidden in the Leaves was bustling with activity. The late-summer streets were packed practically shoulder to shoulder as preparations for the Minori Festival left both villagers and shinobi alike in a frenzy. From the post-mission lounge, Takao watched with narrowed eyebrows and a confused, contorted expression from the window of the debriefing lounge. He could never quite get behind the hustle and bustle of preparing for a festival a month or two in advance, yet at the same time he hardly prepared for festivals at all. He merely indulged in the festivities. Takao removed the fastenings for his vest and slipped it over his head, leaving only the typical ranking-shinobi underclothing to cling to his form. He had returned from a mission a mere hour before and been waiting for the official mission debriefing in the lounge, but had ultimately decided that it was no longer worth his time to wait there. 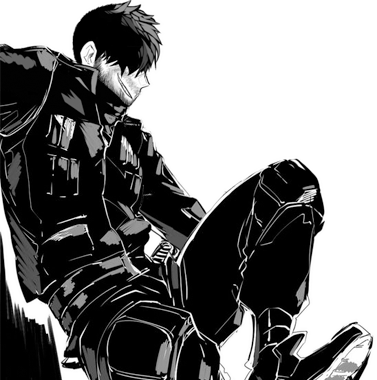 Turning away from the window, Takao threw the vest over his shoulder and carried it against his back as he sauntered from the lounge with a lackadaisical strut. His leisurely stroll took him from the lounge around the winding halls of the Administration building, passing by the various offices and rooms that he was intimately familiar with. Over a decade ago, he had spent a large portion of time in the Administration Building as acting Hokage, so he knew the layout well. It was a bittersweet feeling to linger in the halls he knew so well, considering how harsh he was on himself for what he perceived as his failures. Acting as Hokage was stressful enough, but doing so at the ripe age of fifteen and having little issue with playing at war to boot left a terrible taste in his mouth over ten years after the fact. As the raven-haired shinobi neared the front office where there were scattered assignments posted up on various boards, he noticed the presence of only one person in the room. A white-haired shinobi stood just under an inch shorter than him, and seemed to be looking at the boards-- perhaps scanning for a mission to take. He looked unfamiliar, but there were thousands of shinobi in the vast Hidden Leaf village. Bored enough to spur on the desire for socialization, Takao’s hand dug into his trouser pocket and he approached the board beside him, setting his gaze about the various postings. “Not too many missions lately, huh?” Takao said aloud, half-musing to himself and half stirring up a conversation. He reached out and pulled a sheet of paper from the board, skimming its contents with little satisfaction before returning it to its place less than a minute later. About two thirty in the afternoon. So far it has been a very uneventful day to Satoru. He woke up, did his daily routines of exercise and studying in his clan’s archives, left in his trust by his Father. He kept his lunch in his ninja pouch cause it could fit there, two cheeseburgers neatly wrapped in greaseproof paper. He was in the main hall of the village’s admin building looking at the bulletin board with various mission and tasks for the local shinobi to complete at their choosing. As of today, the tasks at hand seemed pretty tedious for him to do as they were all stuff that he already did as a newcomer genin. Things like getting someone’s cat out of a tree and washing down someone’s front lawn isn't what Satoru got up to do today. It may be a bit shallow to neglect his duties because he thought he was ‘too good’ for it but all in all the village is crawling with genin that wanna make some ryo getting some missions done, he could more than leave it for them to do. After all, Satoru’s work and training as a genin had almost been complete and his transition into a chunin was nearing him. He had about one month left as a genin before he was gonna be promoted. “Not too many missions lately, huh?” a warm friendly voice had spoken from behind him. The man reached out and pulled a sheet of paper from the board, skimming its contents with little satisfaction before returning it to its place less than a minute later. Satoru took only a few seconds to recognize the famed shinobi. “These peacetimes sure do have us starved for choice. See anything good?” the tall man asked him. He reached into his ninja pouch and got the two burgers out, tossing one at Takao’s chest and keeping one to himself, unwrapping it and taking a bite before talking with his mouth full, “Nah, these missions are baby stuff. I think i should go train. I'm gonna become a chunin shortly, i can leave these missions to the new genin that have been running around lately.” he swallowed and continued more clearly, “Aren’t you that Kimura jonin? Takao right? My name is Satoru Namikaze. Pleased to meet you.” With the burger in his left hand, he reached for a handshake with his right. Upon turning his head a bit to smile at Takao, he saw how strong he was through his top, this was the first time seeing him in person and it was almost intimidating how physically built this man was. He really isn’t no laughing matter, yet he is such a warm/friendly guy. At least that's what Sato heard. Taking flight, the flurry of fluttering wings left the Uchiha's fingers, carrying secret missives in their talons as they ascended away into the canopy and were lost, shaking free the yoke of earth and barreling toward their destinations. Without his mask and ANBU disguise, Kirei's mane caught what it could of the sunlight through the dense covering of foliage which surrounded the Uchiha's isolated vigil, a ring of trees marked with colored ribbons, from which he turned away and left departed, leaping into the trees to head for home. Counterintelligence took the teen to many such places he had marked throughout the Land of Fire and cultivating his growing network of messengers, contacts, and hidden storehouses had made much of the Uchiha's time. Dusk til dawn Kirei prowled the forests in the name of Konoha's ANBU Black Ops, probing the townships for snippets of betrayal, memorizing the habits of Hi no Kuni's elite underground, but while the boy listened and accomplished his missions nightly, the gaze of his Sharingan spent its evenings watching the watchers. Exposure to the apathy of the Leaf's administration came swiftly, and Kirei had reported that save for precious few outstanding individuals, Konoha's protectorate had grown thin and stale. Cresting the walls of Konoha and beginning his journey toward the administration office, Kirei intended to spend the day fulfilling his personal directive, indulging in missions for the village which he would choose, indiscriminately, and depart upon en masse. Even now, months and months removed from his departure from the Hidden Mist, the errant Sharingan, triumvirate of swirling tomoe, would not recuse itself and slip into submission. In spite of garnering unwanted attention which sometimes preceded his arrival, Kirei wore his Sharingan with pride, and as his feet lurched into the street with a cloud of dust and murmurs, the blonde wove through the crowded streets toward the main office. Silent as a ghost, Kirei would break through the crack made with his fingers in the door, entering with the folds of his poncho trailing behind. Without delay, Kirei's observation turned to the only two figures in the room, which he could see from behind studying bulletins opposite where he entered. Sparse postings as of late had left the Uchiha with consistent disappointment, but the sight of others rose the shinobi's heart that a task of some significance lay ahead, just beyond the veil of those bodies. Coming to stand beside them, Kirei would peer across and see the first of the two, an older jonin with some standing in the Hidden Leaf, one that Kirei recognized from the academy halls when he had been a young student, but from whom he had never had the pleasure of learning. More recently, the Uchiha recognized Takao from those same halls where now he spent several mornings a week as a junior instructor, and where the man still often taught. Though he had never been formally introduced to the jonin in person, Kirei would issue a smile and observe the second individual, a young man not much different to himself in age. Another wave of emotion would follow, disappointment like a wall between him and the barren message board, scarce postings of low ranking assignments barely enough to fill a morning. Kirei made his displeasure known with an audible sigh, red eyes dropping for a moment as the younger of the other two shinobi spoke. "I gotta admit I do get tired of running errands every day. But free time before patrols sounds boring as hell." Chipper overall but laced with an undertone of exasperation pointedly toward the meager offerings on display. Kirei wouldn't interrupt, but would take the chance to introduce himself when presented, first to his superior, the jonin who the Uchiha was struggling somewhat to place. As he spoke, the Uchiha would extend his hand to each in an offer to shake, smiling comfortably. "Kimura, that's right. I've only ever seen you at the academy. And, Satoru..."
"...I'm Kirei. It's cool to meet you." 「Takao’s stoney gaze stole a sidelong glance to his side, watching the young shinobi’s actions that would lead to the departure of a wrapped object from his possession, carelessly tossed into the Jōnin’s right hand. His attention turned to the mystery object and, upon inhaling the wafting scent through the paper, determined it to be a sandwich of sorts. “Cheers,” he said, lifting the wrapped burger in such a manner to convey his gratitude for the genin’s charity. Given that their conversation had only just begun, he thought it rude to immediately indulge, so it remained in his hand as they spoke. Satoru correctly identified Takao as both Kimura and Jōnin, garnering a small smile and acknowledging nod. Outstretched enough to reach the reaching hand, Takao shook Satoru’s hand firmly and maintained the warm smile that had made home on his face. “Satoru…” He mumbled, his gaze faltering to the side in thought. “Ahh, you’re Yurnero’s kid, yeah? I remember him talking about you in the lounge and on a few missions.” Takao added, recalling the brief interactions he had in passing with the man. More than that, his memories had been triggered by the family name. Namikaze. During one of Takao’s many late night report readings, he had stumbled across the name again that mentioned the fate of the genin’s late father. Takao’s expression remained unchanged despite this, watching and gauging Satoru’s reaction to his mention of his father to determine if the news had been broken to him. If he could avoid it, Takao wouldn’t accidentally let that unfortunate nugget of information slip. Tracing sidelong again, Takao’s attention was captured by the approach of a familiar blonde shinobi. His black eyes trailed across the present sharingan and faltered afterward, ensuring that their eyes wouldn’t meet by sheer virtue of muscle memory alone. This one he recalled from various different locations, namely the academy in the village although he had seen him elsewhere. He voiced his own frustrations with the lack of adequate assignments beyond what equated to basic chores and menial labour, garnering a bobbing nod from Takao. When the introductions were passed around again, he met Kirei’s hand with an equally firm grip as the last. “Nice to finally meet you proper, Kirei.” He said, returning his hand to his side after the shake and allowing for the introduction to continue to Satoru. His mind wandered back to the board briefly and now, thoroughly dissatisfied with the assignments present, Takao’s subconscious proposed an idea. His earlier comment about peacetime in the shinobi world often lead to laziness that progressed into lack of skill and preparedness for proper battle. “Well, since we don’t seem to have much going for us in the way of missions, how ‘bout we be productive with our time and get some training in?” He offered. With his offer extended, Takao turned his back to the mission board and set about a casual stride toward the exit. He paused just before leaving the building and glanced over his shoulder. Satoru quickly remembered the fate of his father on but was emotionally healthy and found happiness in mention of his father’s name,”Really? Haha, bet he told you about the best shinobi konoha will ever see” he held smiled through the sentence, only to break it down and say “...it's tough what happened to him on that S rank VIP mission. But he went out serving Konoha, quite honorable if you ask me”. Satoru’s attention was grabbed by an approaching blonde shinobi with crimson eyes. The Sharingan, a hereditary blessing given to those with direct blood ties under the Uchiha. Satoru as immediately intimidated by seeing those eyes, as he has never seen them in person before. "...I'm Kirei. It's cool to meet you. ", said the Uchiha boy as he gave a warm smile and reached for a handshake from both himself and Takao. Satoru, while unconsciously making alot of eye contact with Kirei because of his crimson eyes, met his hand with a loose grip because of his distraction and briefly introduced himself. Satoru was FAR more distracted than he was willing to admit, “The Sharingan is so beautiful” he thought to himself while standing there being amazed at the Uchiha. The shadow of Takao’s awesome stature moving towards the doorway to outside was cast on both Satoru and Kirei as he offered, “Well, since we don’t seem to have much going for us in the way of missions, how ‘bout we be productive with our time and get some training in? I was planning on heading up to the mountain myself if I didn’t come across anything worth my time. You’re both welcome to come with, if you’re interested.” As Takao got to the exit and waited, Satoru briefly looked at Kirei for his answer but he didn't answer yet so Sato finished off his burger with one big bite and replied “Sure thing Kimura-San” as he let loose a soft burp and followed Takao’s lead towards the door. Upon reaching the exit, he stood close to Takao and took his chokuto sword off his back while still in the scabbard and kept it in his left hand, ready to be drawn with his right hand at any given time. 6 Re: The Will of Fire.